I was told that Doug Hughes called Mark looking for a PitBull he just sold to fly around the country on tour. PRA 31 has one for sale and I'm asking anyone who may know him to ask him to call 619 743 6712 or email me about seeing it. I thought he got a lot of prison time for his stunt? "Flying a Gyro is the most fun you can have with your clothes on!" 120 days in Jail and one year on probation during which he was barred from touring the White House or the Capital building. I wonder what happened to his Gyrocoptor. maybe it will end up in the simthsonian museum. I spoke to Doug at Bensen Days last year. He told me that the FAA had released him to actually go get his Pilots License. No one seems to know about GyRonimo; very likely it was melted down. No evidence, no claim to fame! Wouldn't surprise me if GyRonimo ended up in a government research project on how to track a low flying gyrocopter on radar. Still think of Doug as a 'folk hero'. Maybe we will see his Gyro in the secret service museum some day. 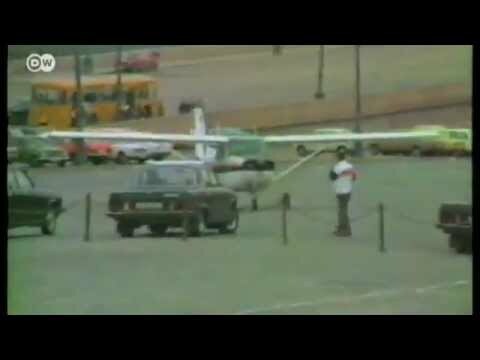 Anybody remember the name of the fellow who stole a Cessna and flew it into the White House twenty-five years ago?